People we have worked with... People we can recommend. Kristen Vlietstra is an independent saddle fitter with over 15 years of experience. Originally hailing from Canada, she is now working out of San Jose, California and is Schleese certified. 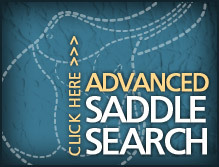 Check out her blog for informative posts on saddle fitting as well as horse and rider bio-mechanics. Blue Bay Equestrian is our sister shop on Etsy, currently offering gorgeous, hand-made beaded bling browbands. Materials used include genuine Swarovski crystals, fine Czech glass, colorful semi-precious stones and metals. Also featured are special edition tees, jackets and other gifts. Houston Area Boarding and Dressage Training, from intro through FEI. 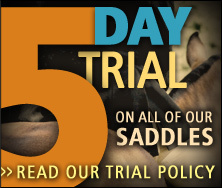 Ready to fulfill your Dressage Dreams? Who isn't! Lessons and training with USDF Silver Medalist Siri Bezdicek at Hearthstone Riding Stables in the west Houston area. Find your dream horse and more! A Fine Used Saddles favorite. Heather & Paragon are a Dressage team to watch!